Welcome to the four hundred and sixty-ninth of my blog interviews with novelists, poets, short story authors, biographers, agents, publishers and more. Today’s is with adventure novelist and poet R (Ron) Clint Peters. A list of interviewees (blogged and scheduled) can be found here. If you like what you read, please do go and investigate further. Morgen: Hello, Ron. Please tell us something about yourself, where you’re based, and how you came to be a writer. Ron: My name is R. Clint Peters, I am the author of four completed Pendergast series books (with 2 in the hopper), two completed Ryce Dalton books (also two in the hopper), and a Klete Wilkins book (in process), and new hero, Nixon French (in process). I am in Mesa, AZ. Morgen: You have a wonderful bunch of names there. 🙂 What genre do you generally write and have you considered other genres? Ron: I write adventure novels, primarily because I am drawing on some personal experience, a little knowledge, and what I mostly read. I suppose I could write a Hobbit series, but then I would have to reinvent my wheels. I tried writing a SciFi novel once, but had a problem getting past the first paragraph. The words just did not flow. Morgen: I’ve heard that the Hobbit’s coming out as a film. I’ll be interested to see it as I started reading the book as a pre-teen and didn’t get very far but then I don’t think I’ve read anything similar since (I switched to Stephen King mellowing to crime and humour since then). What have you had published to-date? Do you write under a pseudonym? 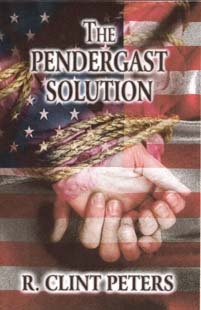 Ron: I have published on two different sites: PublishAmerica (The Pendergast Prerogatives, The Pendergast Alternatives, The Pendergast Solution) and CreateSpace (The Pendergast Suppositions and A Forever Family (a book of poetry by Ronald C. Peters)). 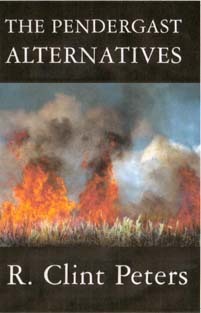 My novels are written as R. Clint Peters, my poetry as Ronald C. Peters. Ron: Everything I have done has been self-published. Morgen: It’s the way many authors are going these days, especially if they’ve attempted to glean an agent without success (as I have). Do you have an agent? Do you think they’re vital to an author’s success? Ron: I do not have an agent, and I think they are a necessity. Morgen: CreateSpace, I know is Amazon’s paper arm, are your books available as eBooks? Do you read eBooks or is it paper all the way? Ron: I have everything available in a PDF file, and am working on getting everything converted to the various eReader formats. My big problem right now, is I learned what I was doing wrong in my books. I was thinking in 60-80 word concepts, and trying to put them on a page. Too often, a reader had to navigate ideas that, while related, needed to be punctuated. The result of my new found knowledge was a total rewrite of The Alberta Connection, a Ryce Dalton novel. Morgen: I’ve uploaded eBooks (albeit free short stories, a shorts collection and writing workbook rather than a novel… yet) and found it a straightforward process. Smashwords works from a Word document and Amazon from an htm file (which I just obtained from saving the Word document then selecting File / Save As / Web Page (which then creates a folder and .htm file in wherever you’ve saved your other files… or wherever you wish). I recently did a talk for one of my writing groups and I’ll be replicating it again at a local literature festival here next month. I’m toying with the idea of making it a free eBook so I’ll see how the talk goes. 🙂 How much of the marketing do you do? Ron: I have several blogs, and a website where I offer my products for sale. Morgen: Several blogs? Wow, I have two and thought that was enough. Do you have a favourite of your books or characters? If any of your books were made into films, who would you have as the leading actor/s? Ron: I think that either John Travolta or Tom Selleck would be good. Morgen: Oh so do I. 🙂 Did you have any say in the titles / covers of your books? How important do you think they are? 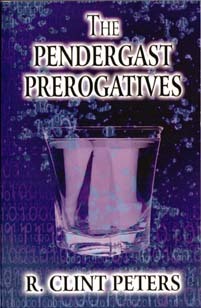 Ron: The covers of the three Pendergast books available at PublishAmerica were designed by PA. When I got the covers to review, I was impressed by all three covers. Someone had apparently read the books. Morgen: That would be useful. What are you working on at the moment / next? Ron: Right now, I am bouncing between Pegasus Rising, a Nixon French novel, A Question for Kelly, a Klete Wilkins novel, and revising The Family Connection, a Ryce Dalton novel. I am also working with two other Pendergast series novels. And, I am going to get really ambitious and re-write The Pendergast Prerogatives, The Pendergast Alternatives, and The Pendergast Solution. Morgen: Wow. So do you manage to write every day? Do you ever suffer from writer’s block? Ron: I work on something to do with my books at least 8 hours a day. If I run into a brick wall, I take a nap. Or, I move into another project. Ron: Nah, there’s no plot. I get ideas at 2:00 AM, and drag myself out of bed, write for a while, and go back to bed. Or, I get an idea while standing in the shower. Morgen: I hope you have waterproof paper. 🙂 Do you have a method for creating your characters, their names and what do you think makes them believable? Ron: My characters seem to come from out of the blue. And their names come out of the blue, too. If I like a name, it will pop up in one of my books. Ron: When I first started, I wrote like I think and speak. Again, the 60-80 word concepts. I had several family members read my first books, and all said they liked what I was writing, but they didn’t understand a lot of it. Morgen: Mine are the same. My mum likes light and fluffy and so I don’t show her much of what I write as I say there’s usually a body in each of my stories. Do you have to do much research? Ron: I try to be as accurate as possible in what my characters do, where they do it, and what they do it with. When I write that the bad guys stopped at a Motel 6, if someone looks at Google Maps, there is a Motel 6. Morgen: Unless you do that, there’ll always be an ‘expert’ out there only too eager to correct you. What point of view do you find most to your liking: first person or third person? Have you ever tried second person? Ron: I write in 3rd person. Never tried 2nd person, and I think my stuff doesn’t work in 1st person. Morgen: Third person is the most popular. Second is the least which is a shame, but it’s best for short pieces. Do you have pieces of work that you think will never see light of day? Ron: I have never thought about it. Morgen: Oh dear, sorry about that. 🙂 What’s your favourite / least favourite aspect of your writing life? Has anything surprised you? Ron: The biggest surprise I got was the mistake I made when I chose my self-publisher. I had a lot of expectations; none materialized. And then I checked with the BBB. Ooooppss… my bad. Morgen: Oh dear. I do see a lot of people saying that, an expensive lesson. Preditors and Editors is a great place to start. What advice would you give aspiring writers? Ron: The best advice I can give is jump into the pool, and them learn to swim. Yes, learn as much as possible before you jump, if only to be able to recognize the piranha. Ron: I like camping and fishing. Ron: BKWritersBlock is the place that started my re-write process. Morgen: I love the quote Bethany (Kent) has at the top of her blog: “There is nothing to writing. All you do is sit down at a typewriter and bleed onto the page.” Ernest Hemingway One of my Monday night poets would agree with that; she says she finds writing tortuous but loves the results. Are you on any forums or networking sites? If so, how valuable do you find them? Ron: I am a member of perhaps twenty networking sites on LinkedIn. LinkedIn provided my first exposure with BKWritersBlock, which has been the motivation for the re-write of my novels. Morgen: I’m a member of probably about the same and find the members on there so helpful and friendly (well, most of them), like the writing community as a whole. What do you think the future holds for a writer? Ron: As the world goes in the direction of electronics, the paper author will fall by the wayside. It will become just too much trouble to drive to a book store when the same book is available for the Kindle. Morgen: I’ve heard that a lot of book buyers go to the bookshop, see what they want to buy then go home and get it online. However mixed my feelings are for the ‘Fifty Shades of Grey’ trilogy (I’ve not read it but hear more bad than good things about it) it’s done wonders for bookshops. Where can we find out about you and your work? Ron: I have a website: https://sites.google.com/site/rclintpeters. 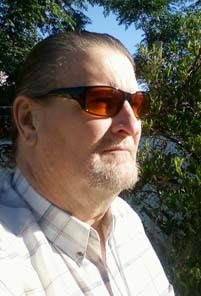 I have a blog: http://rclintpeters.wordpress.com. Nixon French pressed the power button of his computer. As he waited for it to warm up, he took a long sip from his strawberry milkshake. Having an office next to the company cafeteria definitely had benefits. When the computer had fully warmed up, he selected his email inbox, and clicked on one special email. The email, sent while Nixon was the Police Chief of Sanctuary City, Idaho, contained a fifteen-picture slideshow. Nixon pressed start. The first picture showed an unknown person from a long distance away, hanging from a tree limb. Pictures 2 through 7 zoomed in on the person, until he was recognizable as Dennis West. Dennis West was the brother of Sandy, Nixon’s former wife. Pictures 8 through 14 showed Dennis being lowered into a bubbling, steaming mud pot. The screams could almost be heard through the picture. Picture 15 showed a frayed rope dangling perhaps a foot above the mud pot. Nixon’s ritual every morning for the past three years had been a strawberry milkshake and a slide show. He liked strawberry milkshakes but hated the slide show. He planned to repeat the slideshow until his brother-in-law was confirmed dead. Thank you, I’ve updated the links. Hi, Good interview. Nice to hear about just how complicated things are for R. Clint Peters. I thought that he had a busy life as webmaster of the book reviewers club. Wow, did I miss. His life must be extremely complicated. I want to read his new novel, if he can ever squeeze in the time to get it out. I’ll just finish by saying, “Great job, Ron”.